Also known as summer lilac, this plant is an easy to grow drought tolerant blooming shrub that attracts beneficial insects. The butterfly bush, or the summer lilac, is a medium sized flowering shrub characterized by gray-green leaves and cone shaped flower clusters that are typically white or purple. This plant is often the focal point of a butterfly garden as it attracts different types of beneficial insects and has a honey-like scent. The butterfly bush is native to China and was brought to England in the 1700s. The Latin name for this plant is Buddleja davidii and there are over 100 species. Different types of butterfly bush can grow between six and fifteen feet in height, with six feet being the most common height. They also come in dwarf varieties that are about half the size of full size bushes. The branches grow in elegant arches and look better if left untamed. Some varieties bear flowers in uncommon colors such as red, blue or yellow. The Black Knight variety has deep purple, almost black, flowers. This plant grows rapidly and some types can grow up to 10 feet in a growing season. 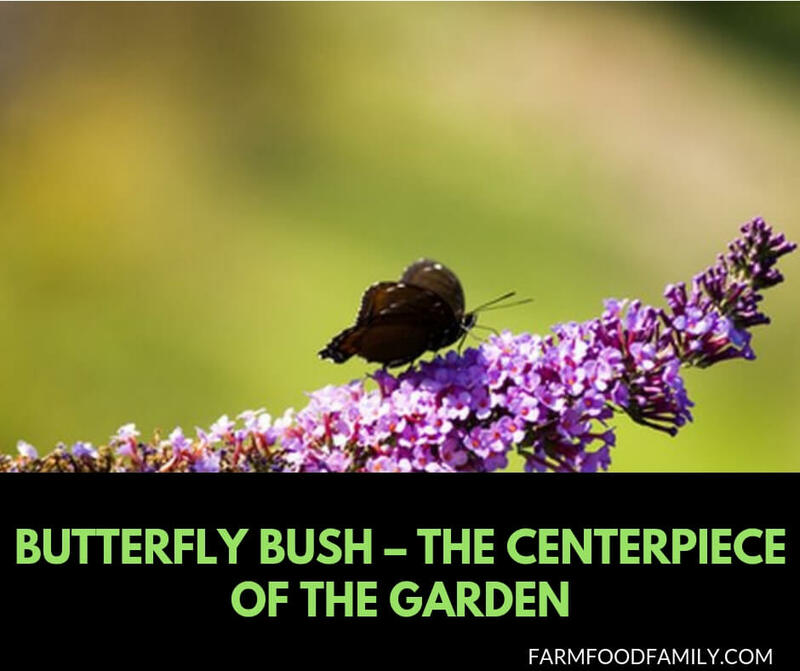 While the butterfly bush is a beautiful addition to any garden, it is most useful to butterfly enthusiasts who plan their gardens around these plants. Since this shrub needs a lot of space for its spreading branches, plan to place the butterfly bush in the garden plot first and then add lower growing plants around it. Flowering annuals and perennials such as marigolds, purple coneflowers, and black eyed Susans will compliment the butterfly bush and also attract beneficial insects. Butterflies commonly attracted to Buddleja davidii are Western Tiger Swallowtails, Red Admirals, the Black Branded Hairstreak and Tortoiseshells. Hummingbirds and beneficial insects like bees also make use of the butterfly bush. This flowering shrub begins blooming in mid-summer and continues to do so until early fall. The summer lilac is easy to grow and tolerates many different conditions. It tolerates both city and country life in that it is not disturbed by urban issues and in the country deer seldom bothers it. The shrub is often sold in pots at nurseries or in home and garden centers. It prefers full sun and well drained soil, but ordinary garden soil is fine. Because of its spreading, arched branches, the B. davidii needs lots of space. Make sure there is about 6 feet in between it and other bushes. Even though the butterfly bush is drought tolerant, make sure to water it once a week. It grows best in USDA hardiness zones 5-10 and needs about six hours of sunlight each day. The butterfly bush can become invasive if left unchecked. In some states it is considered an invasive, non-native plant and there are efforts made to remove it from the wild. While the shrub can be left alone without pruning, an occasional trim will stimulate new bloom and keep it from taking over the garden. If it is growing in a location with along growing season it can be pruned after blooming to encourage more flowers to appear. In the fall, cut the entire plant back to a couple of feet tall. The summer lilac takes severe pruning well and this will not harm it. Beware of bees when working with the B. davidii as the shrub attracts them in large numbers. The butterfly bush also spreads from seed. Regularly deadhead flowers to control this as well as stimulate the emergence of new blooms. Also, remove and seedlings when they appear so they do not become too numerous and choke off other plants. Do not let cuttings sit on the ground as the seeds may blow away and spread to other people’s property. While the leaves of the butterfly bush do not turn color in the fall, the plant does keep its leaves and provides winter interest.